This post was previously published at The Little Crooked Cottage for Literary Lunch. Head over to this entertaining blog run by four children's book authors and a pig who celebrate authors, illustrators and their creations! 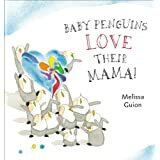 Baby Penguins Love Their Mama by Melissa Guion is a sweet book about a busy Penguin Mama wondering if her kids know just how much she loves them. And they do! Surprising her with a sweet gesture of their own after a busy busy week. and of course a Mama Penguin nut butter sandwich and some of her o-lovely penguin babies (made with olives and cream cheese)! The olive baby penguins were so easy to make and such a fun snack. You can find them all over Pinterest but my favorite tutorial is this one from Foodie with Family! 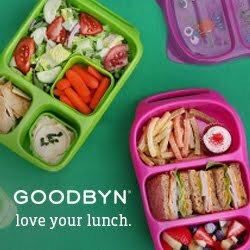 You can hide little book characters in your kids lunches even without making 8-20 olive penguins if you don't have the time. Isn't this penguin so cute? I love visiting my local cake store as well since they always have new cupcake rings or toppers I can quickly use for the kid's lunches! Thank you so much for this adorable tribute. My daughter would go wild if I packed this for her. Maybe I'll actually do that! Added you in G+ and Pinterest . would love if you add me back.